A page to mark the 70th Anniversary of the Allied Landings in Provence, 15th August 1944, the forgotten campaign. Midnight had come and gone, Marseille was fast asleep. 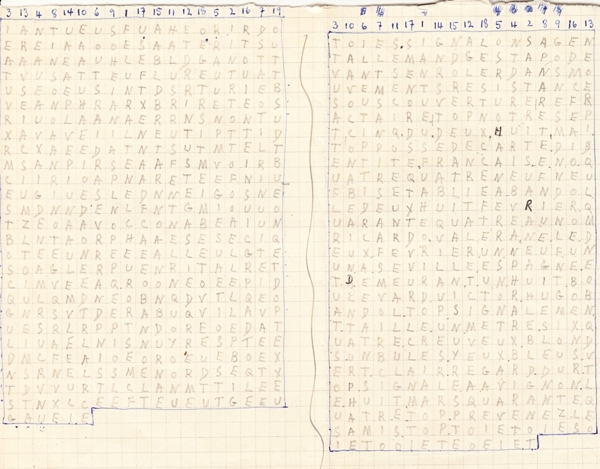 In a sparsely furnished flat behind the Old-Port, the air thick with cigarette smoke, four agents were busy decoding secret messages from London. Out of the silence, the drone of an engine was heard. Immobile, their pencils in the air, they listened as the car drew nearer, finally screeching to a halt. « It’s for us! » They jumped to their feet and looked at each other – who had betrayed them? It was Spring 1944, and among them, CIRCONF’ was one of the most important men of the Provençal Resistance. In a flash, all compromising material was burned in the stove. Setting the scene, CIRCONF’ grabbed a pack of cards, dealing them out to each of the four “players”, sitting around an ashtray full of stubs, eyes wide and heart beating fast. Relentlessly hunted by the Gestapo, this was one of many occasions in which CIRCONF’ and his team were within a hair’s breadth of being captured. Louis Burdet, alias CIRCONFÉRENCE, was a well-known figure in London as the manager of the palatial Hyde Park Hotel. 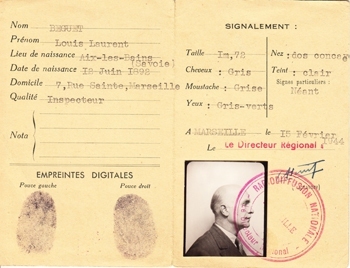 An early supporter of de Gaulle, he was recruited in London and trained by SOE’s RF Section for an important role in the Resistance. On the night of 4/5 February 1944, CIRCONFÉRENCE arrived in Occupied France to be “chef de région” - otherwise known as DMR, for the 7 departments of military region R2, on the Mediterranean coast. His mission was to unite the disparate local Resistance movements, a continuation of Jean Moulin’s work. Indeed, CIRCONFÉRENCE would need all his calm resolve and mediator skills to deal with the complex and fractious local Resistance. All of CIRCONFÉRENCE’s work was building up to D-Day: he requested and allocated much needed arms and funds to the R2 Resistance, while his instructors trained the Maquis for guerrilla war. He coordinated all the “Immediate Action” operations in the region as part of the Allies’ high-priority Plan Vert for rail and road sabotage. The success of D-Day depended on the success of the Plan Vert, together with sister plans Plan Violet (damaging telecommunications) and Plan Tortue (attacking armoured vehicles).These acts of strategic destruction were designed to isolate the enemy, preventing the German army from sending ammunition and troop re-enforcements to the North of France following the June landings in Normandy. 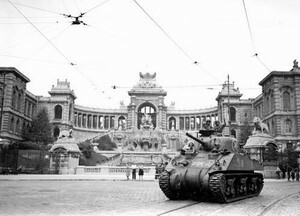 It was expected that, when the enemy withdrew their troops to the Normandy front, they would destroy the important ports of Marseille and Toulon, rather than leave them for the Allies to use to their advantage. 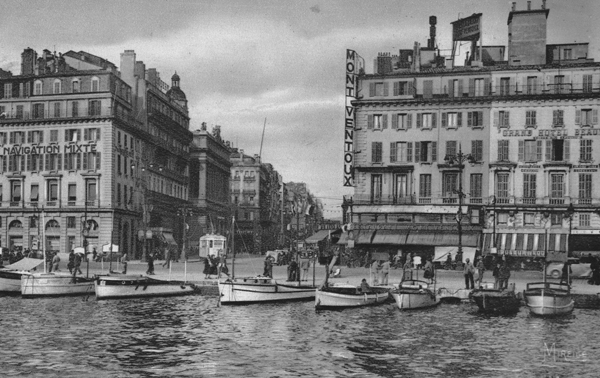 All ports in occupied Europe were classified according to importance, three of the ports deemed most important were French, and Marseille was one of them. With this in mind, CIRCONFÉRENCE was given the highly dangerous mission of recruiting into the Resistance the reticent engineers of the Ponts-et-Chaussées, in order to organise the Counter-Scorching of dock installations (codenamed Plan Momie). This was a particularly delicate affair as the coastline and maritime industries were known to be riddled with informants for the enemy. Once recruited into the Resistance, these few port employees were to lie low before D-Day, gathering intelligence that would help the Allied naval forces to take control of the ports in the early stages of the landings. Any intelligence gathered would then be relayed to London by CIRCONFÉRENCE. Congratulated on 19 May for his reaching an agreement with the port engineers, CIRCONFÉRENCE’s dangerous work can be directly linked to the success of the Southern landings and to the historic and strategic Port of Marseille being saved from destruction. The first, Operation OVERLORD, in Normandy on 6 June, would come to overshadow the second. 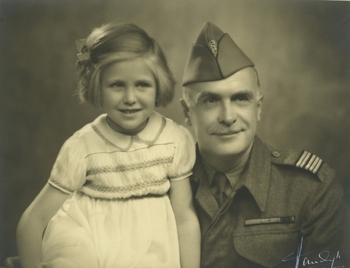 But expecting another imminent landing in the South of France and wishing to maximise on the momentum of OVERLORD, the various Maquis and resisters of R2, who had previously fought a clandestine opposition to the German occupation, engaged the enemy in open warfare. This would have deadly repercussions. It was in this highly charged atmosphere that CIRCONFÉRENCE readied the R2 region for a second top secret landing: Operation ANVIL, later renamed DRAGOON. And so it was that on 15 August, the Allies landed on the beaches of the French Riviera. This amphibious invasion was commanded by General Patch of the American 7th Army - with General de Lattre de Tassigny in charge of the 1st French Army. Some 350,000 men were involved (230,000 Free French). 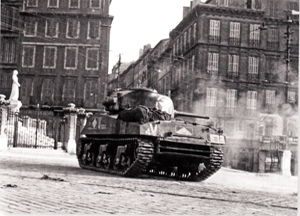 The Allies mounted a simultaneous assault on Marseille and Toulon. By the end of the month, both port cities were liberated. Back to civilian life with the rank of Colonel, decorated with French, British and American medals, CIRCONFÉRENCE became Louis Burdet once again. Not one to rest on his laurels, his strong sense of justice and loyalty demanded that he fought for his Resistance comrades to be remembered, recognised and compensated. The amateur hero returned to take the helm of the newly-opened Stafford Hotel in Mayfair – a favourite haunt of former secret agents, like Nancy Wake, for whom the Stafford was for a time a home, swapping Resistance stories with Burdet. Note: This is an edited extract of the forthcoming RF is for Real Friends, research enlivened with testimonies and unpublished documents. You are welcome to quote any of the above and if you do then it will be appreciated if you would kindly acknowledge this research and include a link to this page. Further Reading on Dragoon: Wm B. Breuer, Operation Dragoon; Steven J. Zaloga, Operation Dragoon 1944.